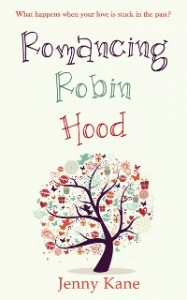 Romancing Robin Hood: On Tour!!! Posted by Jenny Kane on Sep 8th, 2014 in Blog, Contemporary Romantic Fiction | Comments Off on Romancing Robin Hood: On Tour!!! Yippee!!! I’m on tour with Robin Hood- what more could a girl ask for? I would love you to visit me at each of the stops- where you can learn all about my new novel, my writing, and me! This is where you can find me! !